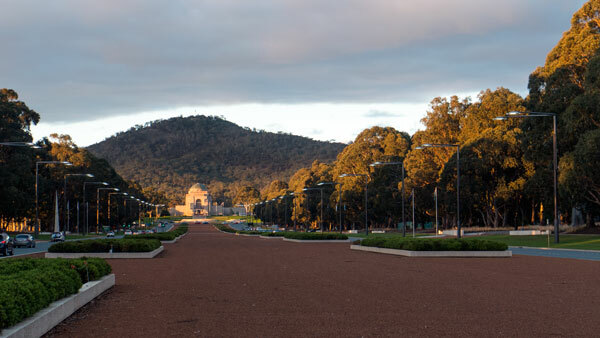 It has always been one of the main sites that figure in photographs of Canberra. For me it is those trees forming two noble lines down each side of the parade. They are really beautiful trees. It is a special experience to walk among them. I have only just read that those street lights are supposed to represent WWI helmets. Despite that possibility, I still think that they were an over-kill in design. They should not be so dominating and should not have become competition with the trees for attention. Something far more subtle in design would have been possible. My other gripe is that the new developments down the lower east side of the parade are seriously to starting to dominate. 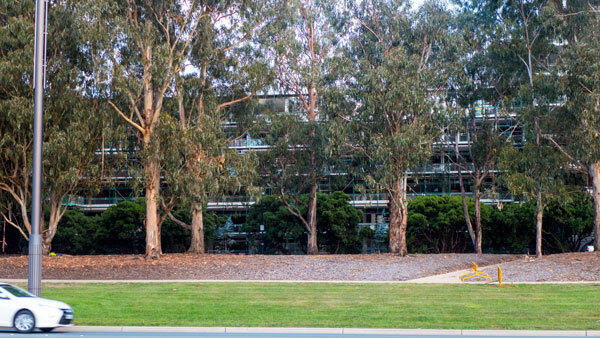 It would have have been far more sensitive to have had an architectural step back with low rise close to the rear of the magnificent trees. I think the NCA was asleep on the watch again that day. As for the actual monuments, they are a mixed lot. Some are far too simplistic for me, one is absolutely beautiful but is just waiting to be damaged (the glass walls on the nurses memorial) and there are a couple of gems. The Vietnam memorial is one of the better ones. 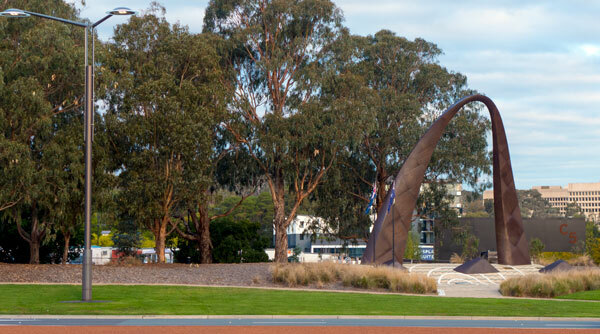 I have noticed that that visitors to Anzac Parade spend time with this memorial. Maybe that’s a generational thing. It is an aesthetically attractive design with a great use of the photographic images. 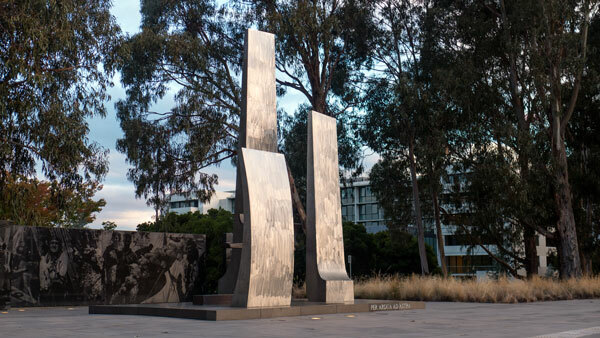 The two basket handles at the bottom of the parade are extremely appropriate entry to Anzac Parade – being donated by the New Zealand Government and comprising of symbols designed by NZ and Australian artists. 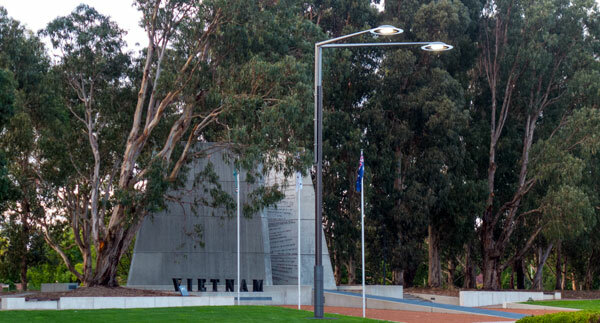 The Australian Hellenic Memorial is up at the northern corner – and is also a wonderful design. But unless you are out to cause an accident – it is almost impossible to look at it while driving. 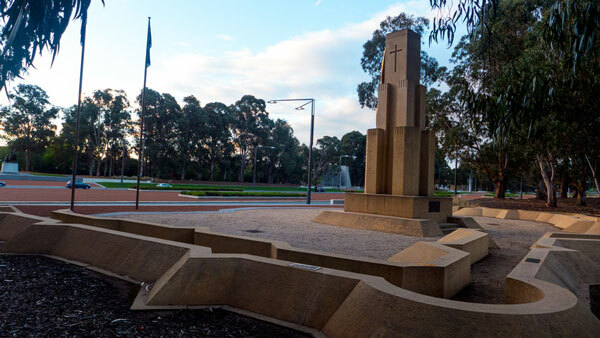 The National Capital Authority is in the process of installing two new memorials – being the Australian Peacekeeping Memorial (east side) and the National Boer War Memorial (West side). The latter seems to have been a long time in coming – many people in Australia do not know much about this early war that Australia was engaged in when the Australian Federation was coming into being. As I said above, these memorials are a mixed bunch. 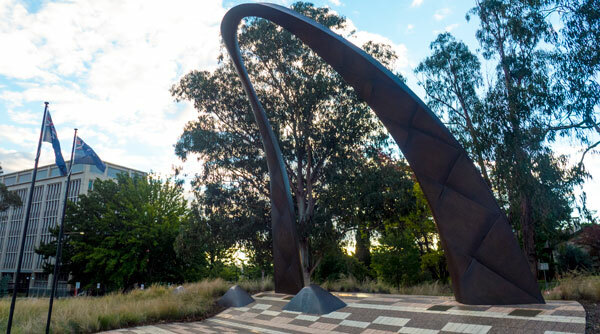 But that is fine – as it reflects the nature of Australia whereby all forms of public art, in the full variety of styles, can exist alongside each other quite successfully. 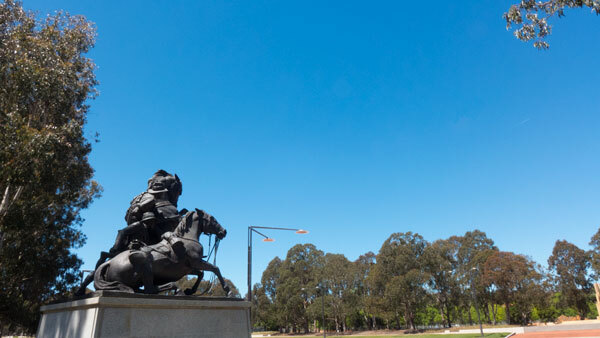 With Anzac Day here again, I would encourage anyone who has not spent time walking the whole of Anzac Parade to make the time to take the walk. It is a good time of the year and the weather is perfect for it. 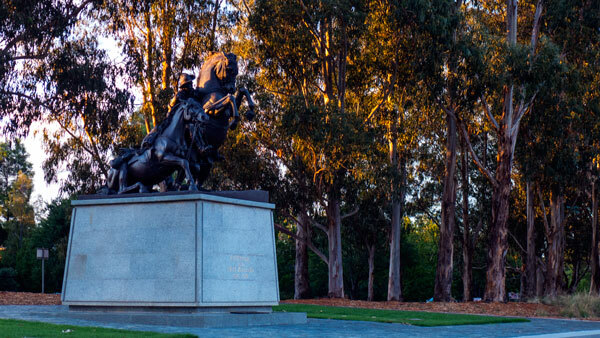 I urge you to take the time to walk around them all – not just stroll past on the path – and think what each of these monuments represent. As we spend time dealing with what are mostly ‘first world’ problems in our daily lives, it is valuable to think about the people who for all sorts of reasons ended up somewhere else in this weird world of ours engaged in deadly activities in our name – with some being killed and not returning to their families. No matter whether they were just or unjust wars – we should remember these people, the families and friends and how lucky we are to be living in this wonderful country. 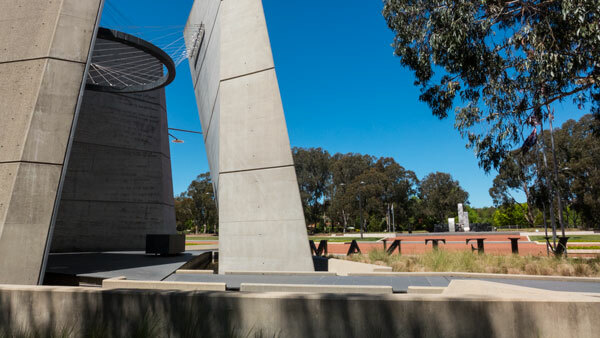 So why not set aside the time to explore close up the public art memorials along both sides of Anzac Parade. 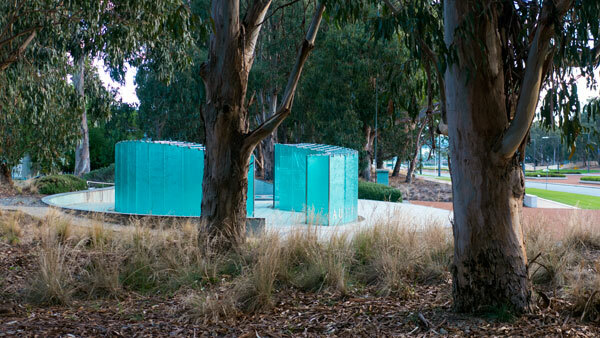 Some of it may not be your choice of preferred public art – but get over that and think about why they are there and what they represent. I suggest you do this without any audio and do not go on one of the guided tours. I urge you to do the walk in your own time, by yourself or with a friend or family, and hopefully you will take away your own interpretations of what you have seen. That’s what public art should be about. 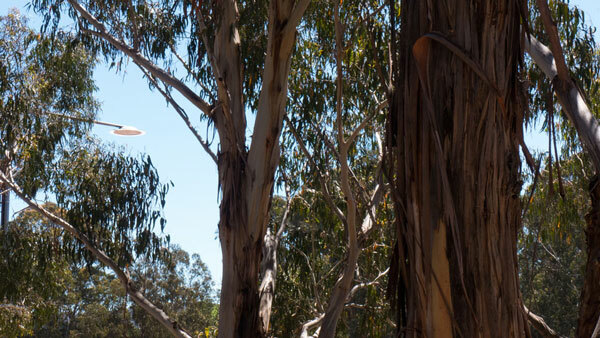 And take the time to walk among the trees – they are truly wonderful. To assist before you set out – there’s good NCA brochure online – click here. 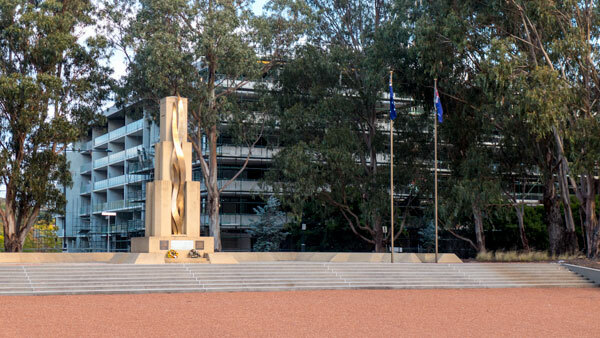 And please share your thoughts on any or all of the Anzac Parade memorials.